Even though it is, unbelievably, 25 years since Early Break opened its doors (or, more accurately, its phone line at that time) for young clients in Bury, I can still feel the excitement, energy, anticipation and total sense of commitment that Ian Clements and I felt at the start of the Service back then. The first referral came within a few days and Early Break (not called that in those days, just ‘young people’s service’) was up and running. 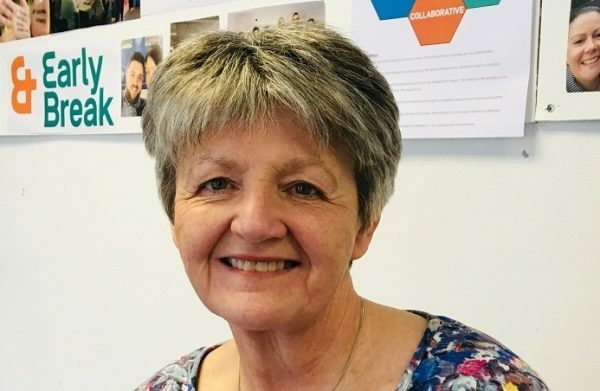 The journey since then has been rewarding, enlightening and always challenging, as the growth and development of Early Break, across other areas in the North West, has unfolded. What a multitude of stories, for all those involved over the last 25 years, has been encompassed by that growth! Above all, I feel that Early Break’s greatest achievement has been the ability to keep care and consideration for the needs of all our clients at the centre of every development. In this way, the Service’s reputation for high quality work and innovation was established early on and has been maintained ever since. Congratulations to all who have contributed, and continue to contribute, with passion and professionalism, to Early Break’s success over the past quarter century. Here’s to the next 25 years!